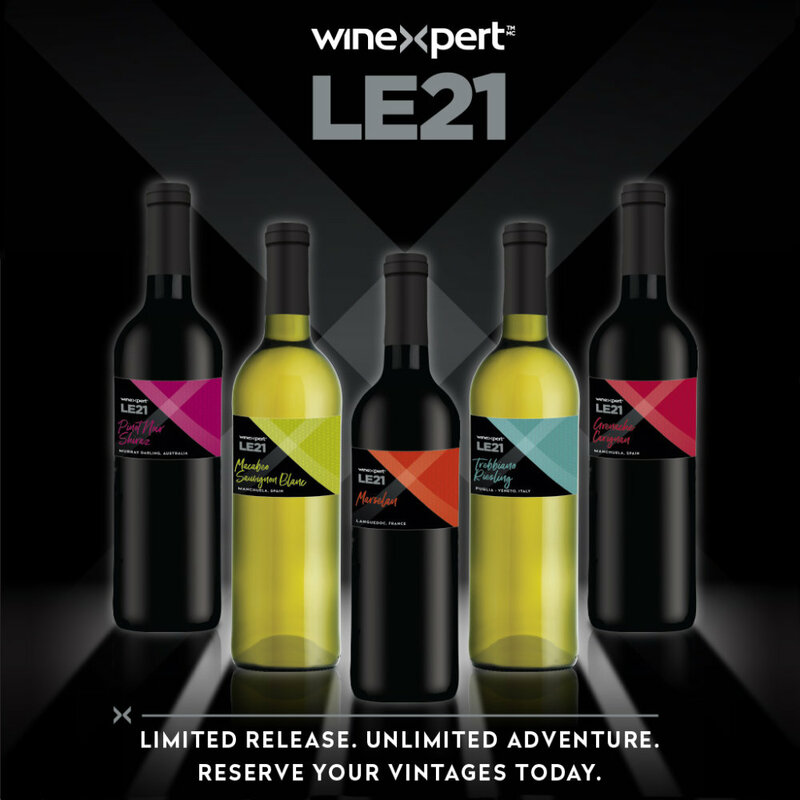 Welcome to the LE18 Collection: five exceptional wines from some of the world's most renowned wine-growing regions. These exclusive wines are available by pre-order only. Reserve your vintages by November 30, 2018. LODI, CALIFORNIA. Black Cab is an intriguing blend of Cabernet Sauvignon and Gamay Noir. Gamay is a light-bodied red wine revered for its floral aromas and earthiness, with tart red berry and lively acidity. Cabernet Sauvignon is a full-bodied red loaded with black fruits, cherry, black pepper and hints of earth. This balanced blend marries the best of both varietals into an energetic medium-bodied beauty. Ripe and round with vibrant acidity and silky-smooth tannins, expect pronounced cherry and juicy red berry flavours rounded out with notes of cassis, spice, subtle earthy undertones and soft vanilla. Pair with grilled red meats, pizza, black peppercorn tuna, black bean stews or roasted pepper dishes. HAWKE’S BAY, NEW ZEALAND. Don’t let the name fool you – though ‘Fumé’ means ‘smoke’, don’t expect a smoky white wine. Coined in the 1960s to denote a new and different style of dry, oaked Sauvignon Blanc, the name is derived from Pouilly-Fumé, a popular French appellation that specializes in a similar style wine. Made with lush New Zealand Sauvignon Blanc, this mouth-filling wine delivers a rush of ripe tropical fruit on the palate, with complex layers of gooseberry and melon, bright acidity and hints of grassy mineral notes expertly harmonized with a gentle creamy vanilla oak. Pair with goat cheese, seafood platters and chicken or pasta dishes with creamy sauce and spring vegetables. CURICÓ VALLEY, CHILE. This wine is a charismatic blend of Carménère, Cabernet Franc, Syrah, and Pais. Carménère, the signature Chilean grape, delivers jammy raspberry and herbal spice. Cab Franc brings bold cherry, juicy berry and acidity, while Syrah lends intense black fruit flavours and tannin. Pais, widely planted in Chile for centuries but little-known elsewhere, rounds out the blend with rustic red fruit and crisp acidity. This juicy blend is full of expressive black and red berries, surrounded by cherry and tart plum notes in harmony with underlying oak, bright acidity and smooth polished tannins. Pair with rosemary lamb chops, beef skewers, Portobello mushroom burgers and aged cheddar. SIERRA FOOTHILLS, CALIFORNIA. The Sierra Foothills were the center of the California Gold Rush in the mid-1800s. European immigrants flocked here seeking their fortunes and planted the area’s first vineyards as they settled into life in the Wild West. Rustic and remote compared to the state’s other regions – Gold Rush ghost towns still dot the countryside – growers take full advantage of the varied terrain of the foothills, utilizing the slopes to maximize sun exposure. The shallow soil is mainly decomposed granite, shale or volcanic matter; not particularly fertile ground, nor does it retain much moisture in a region where water can be scarce. These harsh-sounding conditions are actually good news for grapes as the vines yield less fruit, resulting in more concentrated flavours. PIEDMONT, ITALY.Widely regarded as one of Italy’s top wines, the Barbaresco style is undeniably delicious. Made with Nebbiolo, Piedmont’s most respected and most loved red wine grape, this wine exudes intense aromas of juicy cherry combined with toasty oak and spice. The sumptuous palate seduces with cherry and ripe red berries, licorice, baking spice, leather and earthy notes. It boasts balance and structure with firm velvety tannins, a full body and a beautiful long-lasting finish. Pair with grilled or braised meat, mushroom risotto, Ragu Bolognese and mature cheeses. Reserve yours now. LE wines are made in limited quantities and sell out early. Mount Pearl location at 709-745-1140. All LE wines come with striking designer labels. LE Wines will be delivered to the store of your choice.This is a reservation form only. You don't pay for the LE wines until you pick them up. Reservation deadline is Friday, November 30, 2018. We can't take orders after the deadline. Copyright © 2018 Brewery Lane Ltd.